No More Low-End OnePlus Smartphones There’s the OnePlus One, 2 and 3. All flagship smartphones. There’s also a OnePlus X. A low-spec version of the flagships. 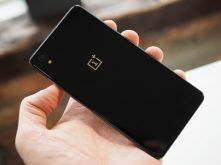 Well, OnePlus says NO to another X in the future. Official Accessories for the OnePlus X are now here! Go chic!